Firewood for cremation. A worker carries a piece of wood from one of the wood laden boats moored at the shore up to the stockpile area. 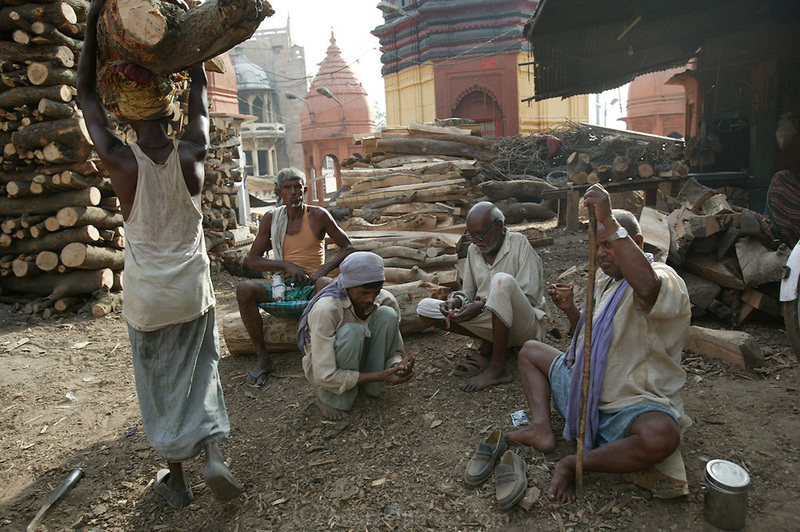 The wood is chopped into smaller pieces and, when paid for by a family, is used to build funeral pyres at Jalasi Ghat (at Manikarnika Ghat) in Varanasi, India.